Photograph of a military parade in Germany showing a zeppelin flying over troops sitting in armored transporters. "Received. Examiner reference library. 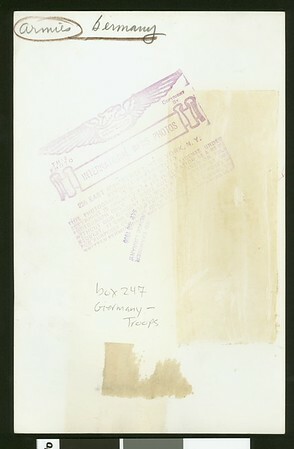 Sep 22, 1936" -- stamped on verso.